Not everyone can afford to purchase original one-of-a-kind artwork. But if you still desire quality art for your home or office that is unique and not sold by every "Big Box" retailer, Giclée prints are the finest quality reproductions available today. Whether on canvas or cotton rag archival paper, these prints will astound you with the level of detail and color rendition that's true to the original work. Museum-quality reproductions on watercolor paper or premium artist canvas will last a lifetime! You're buying directly from the artist and supporting their passion for what they do! Our collection includes works by many new, emerging, and established artists from all over the USA and unlikely found elsewhere. Find the perfect size, color and shape at the perfect price! Many pieces can be custom-sized to your specifications. 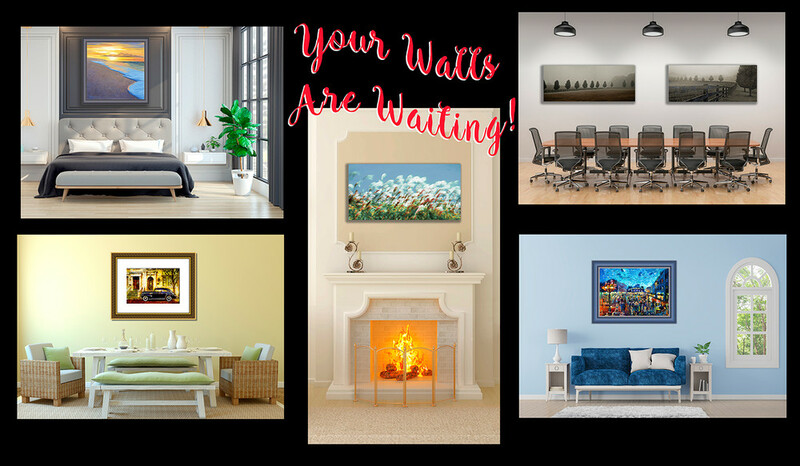 Search for artwork from the comfort of your own home or office. Browse and shop online any time or visit our gallery / studio / frame shop in the Westside Design District of Atlanta. Our unconditional guarantee makes it easy and worry-free to buy online! Receive a full refund for your purchase if you are not 100% satisfied! © Copyright 2018, Tiny Dots on Paper Inc. No image on this site may be copied and/or downloaded for any use without permission by the artist or representative. All Rights Reserved.